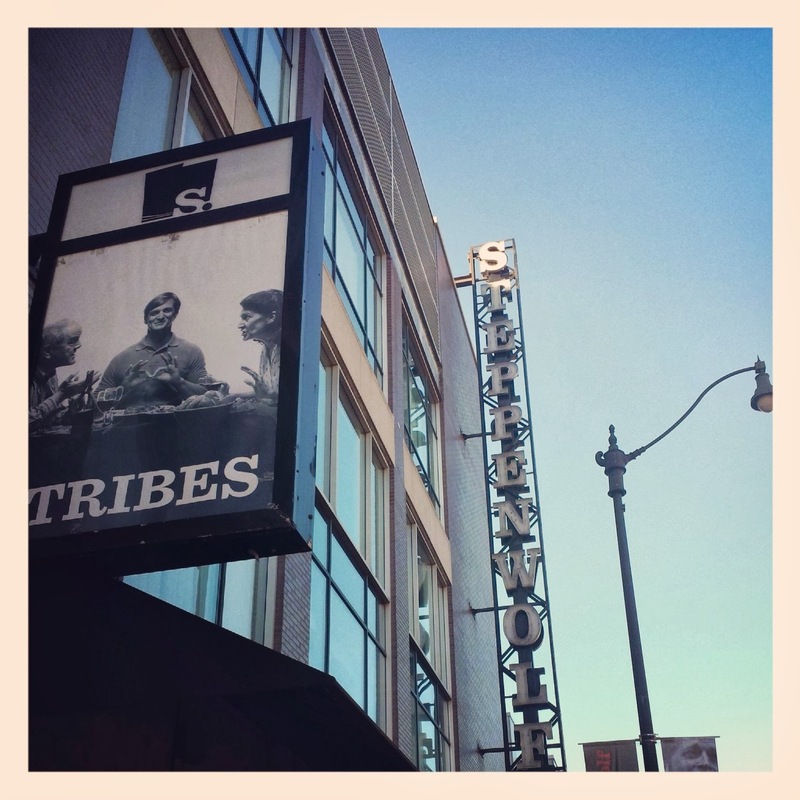 I saw Tribes at Chicago's Steppenwolf Theater in December -- I scored one of the few remaining seats for an American Sign Language-interpreted performance. I'm sure everyone who sees this performance walks away with a different interpretation.To me, it was a play about identity -- something I'm still molding to this day because I have one foot firmly in the hearing world and the other in the deaf community. Playwright Nina Raine did a spectacular job highlighting how lonely it can be to be a deaf person in this hearing world -- whether it's within one's own family or among friends. No matter how well you speak and lipread, there's really only so much you can do. You end up being a step slower. A beat behind when everyone starts laughing at a joke. Many people focus on the fact that Billy's family didn't learn any sign language, but to me, the bigger fault was that his family didn't really try and make sure Billy knew what was going on. He was isolated within his own family. My family life was nowhere near as snarky (of course, we weren't British) or dysfunctional as Billy's family. My parents learned sign language, encouraged me to be the best person I could be, and taught me that my deafness was just one small part of my identity, not my whole. It's a wonderful gift to give any child -- especially one with a disability -- the belief that there are no limits. And it's even more empowering when you give that child the tools to achieve his or her dreams. Tribes won't leave you with the warm fuzzies like a Lifetime or Disney move. Billy's issue is just one of several exposed as the play explores communication. The play itself is full of language: opera, Chinese, music, writers, shelves of books, music, conversations around the dinner table. Sign language enters the picture when one Billy's girlfriend Sylvia tries to show Billy's family what a versatile, beautiful language it can be, not "broken English" as Billy's father put it. There are many layers to this play: communication, isolation, inclusion, exclusion. At times, it was a challenge to follow all the dialogue in the play: there were three ASL interpreters signing for four hearing characters, plus two actors signing onstage. If I'd had the time to go to another performance, I would have liked to go to one of the shows with open captions. I'll probably buy the script to fill in some of the blanks and as a keepsake. I highly recommend seeing Tribes if you can. Whether or not you have a deaf person in your family or circle of friends, you'll walk away from the play thinking about communication and how you listen to and perceive others.